Information wants to be free says influential technologist Stewart Brand at a 1984 hacker convention. These words became the mantra that shaped the Internet, and the conflict he predicted has led to a revolution in the way that our culture is funded and consumed. We have come to demand free content online, mistaking the packaging of physical products for what we were actually paying for- the creative content. 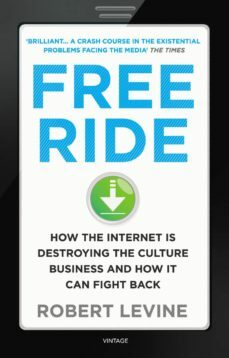 Newspapers are being pressurised to give their content away for free online; music sales have plummeted due to piracy; and Amazon is using its market power to drive down the price of ebooks.Technology companies are making millions from content created and funded by others, reducing the value of culture in the process. How did the media industry lose control over its destiny? What are the consequences? And are we headed for cultural meltdown if the media cant stop the free ride?